This article is about Thunderbird's profile folder. See also Profile folder - Firefox and Profile folder - SeaMonkey. Thunderbird stores all personal data such as messages, address books and configuration settings in an OS folder called the profile. A profile can contain one or more account for mail, RSS, news, etc. The first time you start Thunderbird it will automatically create a profile in a default location if it does not already exist. You can also use the Profile Manager to create a profile wherever you want (but don't create it in the Thunderbird program directory) or to delete or rename one. It is a good idea to periodically backup your profile to a safe location. Thunderbird doesn't delete a profile when uninstalling, upgrading or re-installing (it is stored in a directory outside of your program directory), but to avoid any risk of accidentally affecting or deleting it as a side effect of an update it is a good idea to back it up before taking such actions. Thunderbird does not let you switch profiles without exiting, unlike Outlook Expresses identities. 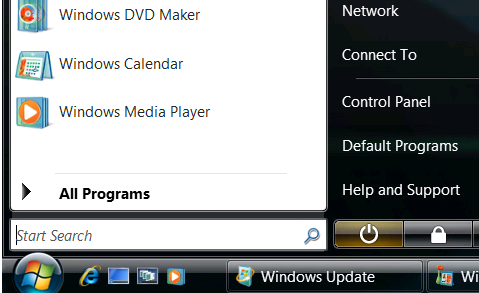 However, the profile switcher extension will let you switch profiles. Profile folders default to a standard location but are named randomly for additional security. You can set a custom location using other methods mentioned below. The installation directory includes a folder named "profile" (for example, C:\Program Files\Mozilla Thunderbird\defaults\profile on Windows), but this folder contains program defaults, not your user profile data. 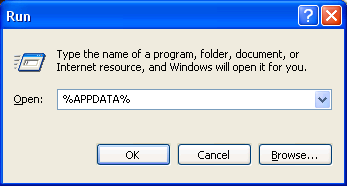 On Windows 2000/XP/Vista and on Linux, the folder containing your user profile data is hidden by default and you will need to show hidden files and folders to navigate to the profile folder. The easiest way to find your profile is to click on the "Show Folder" button in Help -> Troubleshooting Information. That launches windows explorer (or the equivalent file manager for your operating system) with the profile folder selected. That feature was added in Thunderbird 5.0. Press OK. A Windows Explorer window will appear. In the Windows Explorer window, choose Thunderbird → Profiles. Each folder in this folder is a profile on your computer. The Application Data folder is a hidden folder; to show hidden folders, open Windows Explorer and choose "Tools → Folder Options → View (tab) → Show hidden files and folders". Click the "Roaming" item that appears on the menu. In the Windows Explorer window that opens, choose Thunderbird → Profiles. Each folder in this folder is a profile on your computer. ...or by using Thunderbird menu path Help->Troubleshooting information->click on the "Show Folder" button. The AppData folder is folder is a hidden folder; to show hidden folders, open a Windows Explorer window and choose "Organize → Folder and Search Options → Folder Options → View (tab) → Show hidden files and folders". Both are hidden folders. See this article for more information. To show hidden files in Nautilus (Gnome desktop's default file browser), choose "View -> Show Hidden Files". Windows XP: Click "Start → Search". In the Search Results window, scroll down and click "More advanced options". Check the boxes, "Search system folders", "Search hidden files and folders" and "Search subfolders"
Windows Vista: From the Windows Start menu, click "Search". In the "Advanced Search" area, select "Include non-indexed, hidden, and system files (might be slow)"
The console should display the location of the profile that is currently in use. If you don't see it, select "All" in the toolbar. Thunderbird uses the profiles.ini file to find the location of your profiles, and to determine which profile is the default profile. If you're using Windows the file is located in the parent of the "Profiles" folder. It can be edited to move your profile. If it's deleted, a new profiles.ini file will be created and a new default profile folder created when Thunderbird starts. This file is the reason why you can't just copy a profile into the "profiles" folder and have Thunderbird discover it. Attachments Used when attachments aren't stored in the folder or the desktop. It may not exist as the settings for where attachments should be stored are frequently ignored. calendar-data Used by the Lightning extension. chrome Optional. Mainly used for the optional userChrome.css and userContent.css files. extensions Installed extensions and themes. ImapMail Mail from IMAP accounts. lwtheme Another directory used by personas (light weight themes). - smart mailboxes for Unified Folders/Smart Folders (virtual folders). It's typically called "smart mailboxes -1"
OfflineCache "app cache" according to the More About add-on..
searchplugins Optional. Used if you added additional search provider such as DuckDuckGo to OpenSearch. TestPilotExperimentFiles Obsolete. Used by the optional TestPilot add-on. It runs user studies on how Thunderbird is used, and is used to submit answers to surveys. It requires Thunderbird 8.0 or later. WebmailData Obsolete. Used by the Webmail extension. All of the messages for an account are stored in a subdirectory named after the mail server. For example if you have a Gmail POP account it would create a pop.gmail.com subdirectory in Mail. Your messages would be stored in text files with names of the folders shown in Thunderbird and with no file extension called mbox files. For example, the inbox folder would be called "Inbox.". There would also be a inbox.msf file (a index file, it doesn't have any messages) and there might be a inbox.sbd subdirectory. The .sbd subdirectories are used to store the folders in a hierarchy, as there is no master list describing how the folders should be organized. If you use a add-on to make a webmail account emulate a POP account the mail server is typically 127.0.0.1 (or localhost). If you have more than one account with the same mail server Thunderbird adds a suffix. So your second yahoo webmail account might be stored in 127.0.0.1-1. The same thing occurs if you have multiple accounts with the same POP or IMAP servers, though thats less common. None of these files should be read-only. If they are that might be a side effect of dragging and dropping or backing up files to removable media, and then using them to restore your profile. See Files and folders in the profile - Thunderbird for a more complete list. extensions.rdf Installed extension information. It can be deleted to remove "ghost" entries from the extension list  and to resolve various other issues. signons.sqlite Encrypted saved passwords, requires key3.db to work. It used to use signons.txt or signons3.txt. *. in ImapMail, Mail, and News Mbox files. They are text files that contain all of the messages for that folder. *.msf in ImapMail, Mail, and News Index files for mail messages. Playback information for offline operations and incomplete online operations. Portable Thunderbird is a popular third party build of Thunderbird that is installed on a USB drive along with the profile. It's designed for roaming users. The profile is not specified by a profiles.ini file on the boot disk, it's always in a Data\profile directory within the programs directory. It can have only one profile and doesn't support the profile manager. The profile has the same layout and files as Thunderbird. The channel-prefs.js file in the defaults\pref directory in the Thunderbird program directory specifies what update channel you are using. That determines what type of builds auto-update looks for. app.update.channel is normally set to "release". If you installed a beta that would set it to "beta". If you want to stop getting beta and release candidate updates change it to "release". The application.ini file was added to the Thunderbird program directory with Thunderbird 3.0. It's mainly used to control whether the migration assistant , crash reporter and extension manager are enabled. The mailviews.dat file in the defaults\messenger directory in the Thunderbird program directory specifies the default custom views. Views are selected using the View list box in the toolbar. You can add it to the toolbar by right clicking on the toolbar, selecting customize, dragging and dropping the View control to the toolbar and pressing the Done button. Icons are normally available both as a resource within Thunderbird and at chrome/icons/default/messengerWindow.ico in the program directory. If you don't like the icon in the current version you could copy that file from an older version and modify the shortcut to point to it. Bug report about profiles should be stored under "Mozilla/Thunderbird" not "Thunderbird"